Over the past few months, I’ve decided to start making changes to improve my overall health. Health and fitness are always in the news, and most people know what they should be doing. However, the tricky bit is doing it. I thought I’d share with you today 3 simple changes I’ve made that have made a big difference for me. I introduced them gradually over time, so I wouldn’t give up, and I feel so much better as a result. I promise you they’re not hard, and just a few small changes to your routine like this can make such a big impact on your lifestyle! I’ve been moaning about feeling sick or bloated or just having generally rubbish digestion for a good few years now. To make a long story short, I got diagnosed by a nutritionist as gluten intolerant and lactose intolerant. There is a list on my fridge of all the food I’ve had to cut out as a result, and believe me, it is long. Since cutting out gluten and lactose, my diet has improved incredibly. I’m eating much more fruit and veg, and a lot less of the cakes, biscuits, crisps, ready meals etc. Plus, I feel much much better! Having said all that, I’d be lying through my teeth if I told you I never indulged in pizza/chocolate/ice-cream. There are some foods I just love too much, I just accept that for a few days my digestive system will hate my guts! So, gluten-free and lactose-free meant goodbye cereal and milk for breakfast. Honestly, I’ve always hated breakfast anyway – I never start feeling hungry until about 11am. Since trying out smoothies, however, breakfast is now my favourite meal of the day! I usually whizz up a banana, raspberries and blueberries with a splash of unsweetened Almond Milk (a godsend – I prefer this stuff to normal milk now! 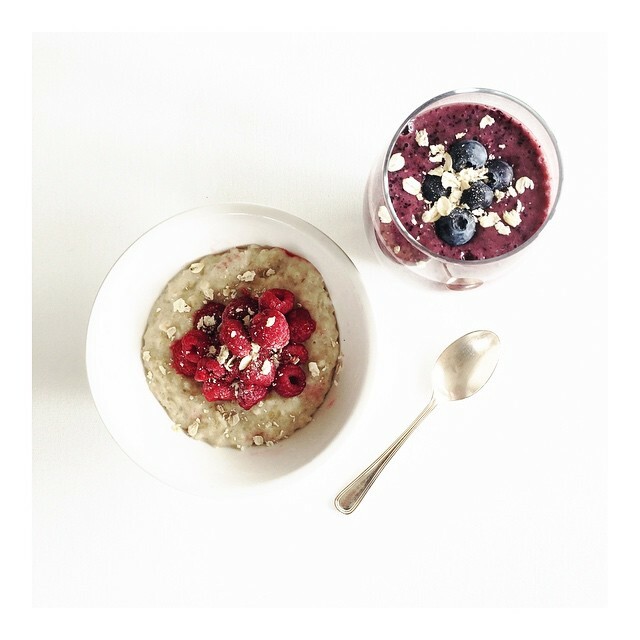 ), a few handfuls of gluten-free oats and a teaspoon of Chia seeds. Depending on what I can find, I’ll sometimes add strawberries, blackberries, nectarines etc. to keep myself interested! I’ve found that having fruit for breakfast is an absolutely brilliant way of ensuring I get my 5 a day. Depending on the blend, I’ve eaten 2/3 servings of fruit and veg before 9am; add a bit of salad with lunch, and some veggies with your dinner and you’ve done it! Tip – buy frozen fruit and defrost it a little bit in the microwave. It lasts longer this way, and the half-frozen fruit keeps your smoothie nice and cold! When I was still at school, I jumped at the chance to run the 800m and 1500m races on sports day (I never had to fight for my place, everyone else just recoiled in horror). The highlight of my running career was coming 4th in the 800m race in Year 10 – considering the competition, I was pretty impressed with myself. But I left school and sports days behind, and made an active effort not to take part in any physical activity during college. But you can’t run from the facts, little friends. I’ve read enough copies of the New Scientist that my dad’s left around to know some pretty gruesome details about what a lack of physical exercise does to your body – in short: early death. Eventually, I ran out of excuses not to be doing any. So I downloaded the highly recommended ‘Coach to 5K’ app, and started Week 4 because obviously I wasn’t at couch-level. I did one run, and that was it. A few weeks later, I tried again with Week 3. I managed 2 runs. Finally, I swallowed my pride and admitted I was that unfit, and started Day 1, Week 1. I’ve now nearly finished the whole plan, and I’m so so close to running my first 5K! I feel a million times better for doing regular exercise, and I’m starting to really enjoy running. I’m even considering joining the athletics society at uni in September, and running competitively again! Tip – if I’ve convinced you to download to C25K app, I would really recommend the Change4Life, NHS Choices one. You basically get your own personal trainer, Laura, who talks you through your runs, motivates you and gives you advice along the way. Plus you can tick of each day as you’ve done it, and it’s just generally got a cute, fun little design. It also lets you play your own music as you run, while still letting you listen to Laura! I hope you found this encouraging – definitely let me know what you think! 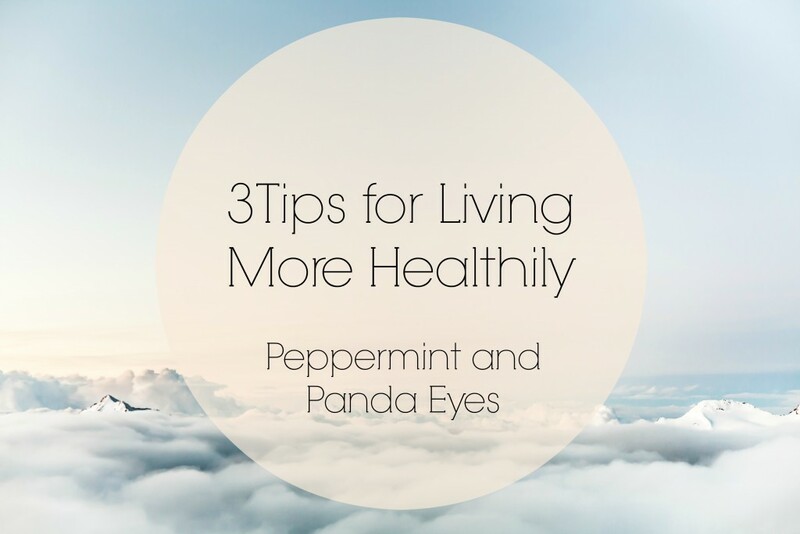 Do you have any other simple tips for living a more healthy lifestyle?